NEW YORK (AP) — The forensic pathologist who identified the brain disease CTE afflicting numerous football players and was played by Will Smith in the movie "Concussion" is working on a memoir. Dr. Bennet Omalu has a six-figure deal with Christian publisher Zondervan, according to literary agent Steve Ross of Abrams Artists Agency. Ross told The Associated Press on Monday the memoir has the working title "The Truth Doesn't Have a Side" and will come out in fall 2017. 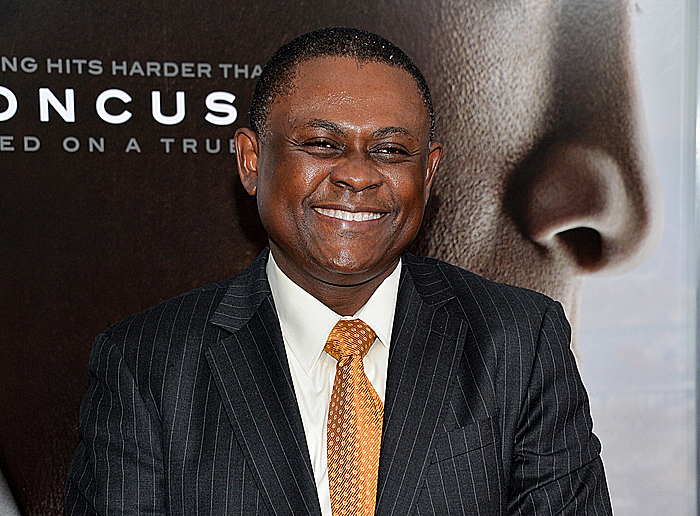 Omalu first diagnosed CTE, or chronic traumatic encephalopathy, after performing an autopsy on former Pittsburgh Steelers center Mike Webster in 2002. The NFL vehemently disputed his research, but CTE has since been found in the brains of dozens of former players, including recent Hall of Famer Ken Stabler.